Movie remakes get a bad name because of such misfires as Poseidon, The Haunting, and let’s not forget the infamous Psycho. I’ve noticed quite a few remakes in recent years, which make Hollywood filmmakers look desperate to come up with new ideas. But that doesn’t mean the remakes themselves are all bad. In fact, some of the best movies I’ve ever seen have been remakes of earlier successful (and a few not-so-successful) films. So let’s take a look at some films in which the filmmakers gambled that they could improve on someone else’s work. 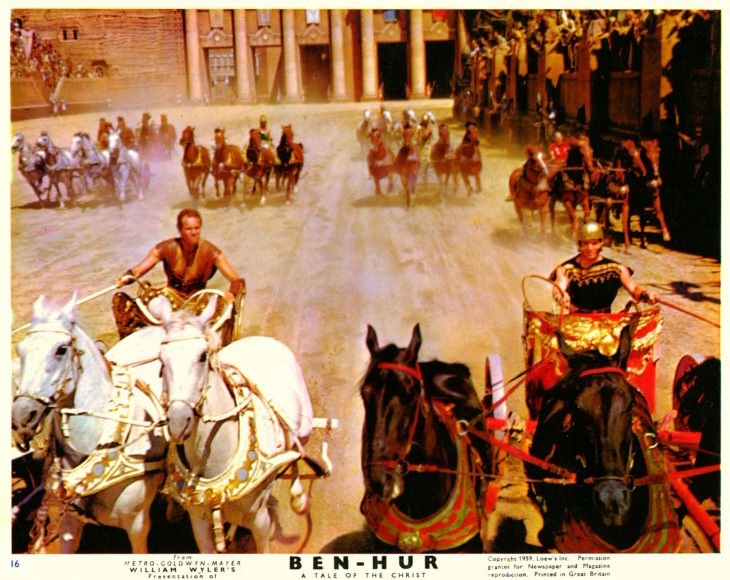 Ben-Hur: A Tale of the Christ is a fictionalized account of a Jewish prince’s fall and rise, set during Jesus Christ’s mortal ministry in the land of Judah. The book was written by a former Union General named Lew Wallace while he was serving as Governor of New Mexico in 1880. Despite the book’s historical inaccuracies and narrative problems, it became one of the best-selling books of all time. Its success led to numerous adaptations, including a stage play, radio broadcast, and a silent film. In the early 1920s, Hollywood was still getting started. The film industry was slowly transitioning from D.W. Griffith’s home base in New York to Cecil B. DeMille’s and other filmmakers’ territory in California. And there was no color or sound in film. Thus, the original Ben-Hur was devoid of any sound effects or voices to punctuate the action on screen. That’s too bad because the story is supposed to be both exciting and dramatic. Luckily, 30 years after the original debuted, a daring group of filmmakers had the audacity to modernize that classic film into something more palatable for 1950s moviegoers. And what they created still holds up as a timeless tale today. The portrayal of Christ is probably the most interesting I’ve ever seen because we never see his face, but we see the astonished reactions of the people who do see his face, and the effect is electrifying. There’s no doubt that Charlton Heston’s portrayal of Judah Ben-Hur is one of the finest performances to ever come out of a Hollywood film. If you haven’t seen these two films, give them a watch. The original is good, but the remake is immaculate. Doug Liman’s The Bourne Identity is based on a book written during the Cold War by Robert Ludlum. Unfortunately, that 2002 film was not the first time the book was adapted into a film. In 1988, Richard Chamberlain took a shot at portraying the enigmatic spy Jason Bourne with lackluster results. He gets beat up by almost everyone he meets, and that’s the least of his problems. This film’s fatal flaw is that Jason Bourne isn’t really a spy. He’s just a regular guy who got plastic surgery to make him look like a spy so he could try to take the real spy down. But the plan goes awry and he loses his memory, so now he’s not sure who he is. That’s an interesting setup, but the payoff is frustratingly disappointing. The newer version is a major improvement. Seeing Jason suddenly discover skills he didn’t know he had is thrilling and terrifying at the same time. He’s supposed to be a killing machine, but he doesn’t want to be that anymore. It’s so interesting to watch him work out problems logically and calmly, all the while trying to find a non-lethal solution to situations where his life is in peril. I don’t care if the plot is bone thin and the villain’s motivations are ambiguous and contradictory, The Bourne Identity is one of the best action films of the past 10 years. How hard is it to make a James Bond parody? In 1997, Austin Powers: International Man of Mystery finally showed that there are plenty of silly things to make fun of, and it did it quite well. However, in 1967, the makers of Casino Royale tried and failed to exploit any comic possibilities from the famous spy series. In fact, the film they created is so incomprehensible and unfunny that I’ve never been able to sit through it all in one sitting. I mean, Woody Allen is the villain? Seriously!? John Travolta was a better villain in Goldmember! And he was only on screen for a few seconds. What were they thinking? 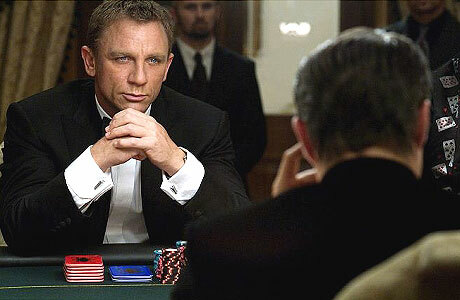 2006’s Casino Royale is the complete opposite. It takes the source material completely seriously, and it is arguably the best James Bond film of all time. There’s really no comparison between these two films. Director Martin Campbell and actor Daniel Craig breathed new life into the character after the James Bond series got a good punch in the gut from The Bourne Identity. This film is brutal, suspenseful, fun, daring, and a whole lot more. I love the fact that they never have a true car chase in the whole film, but instead rely on a series of unique foot chases. Thank goodness that Casino Royale came around when it did and saved this series from silliness. Why isn’t every ensemble film as fun as 2001’s Ocean’s Eleven? This film has everything going for it. The cast is full of memorable characters, the story unfolds perfectly and leaves plenty of room for suspense, and there’s just the right amount of subtle and slapstick comedy to relieve the tension. This film is a masterpiece, and I never tire of watching it. The original Ocean’s 11, however, is quite depressing. It feels a lot like A Simple Plan or Fargo. The scheme to rob five casinos at the same time seems to go off without a hitch at first, but pretty soon everything unravels and everyone involved winds up miserable in the end. And I’m sorry, but I’m just not a fan of Frank Sinatra or any of the other members of the Rat Pack. Sure, they’re decent actors, but they don’t mesh as well as George Clooney, Brad Pitt and Matt Damon. Maybe it’s that I’m from a different generation, but I don’t see the appeal of those older actors. With a depressing story and unimpressive performances, Ocean’s 11 can’t hold a candle to the superior remake. Disney has made a lot of terrible remakes, which makes 1998’s The Parent Trap all the more remarkable. The secret to this film’s success is that it was written and directed by Nancy Meyers, the brains behind Father of the Bride Part II, What Women Want, and other solid comedies. She is able to find all the good in mediocre source material and turn out something amazing. Take the original Parent Trap. It’s thoroughly a product of the 1960s. The characters are boring, Haley Mills has an atrocious Tomboy haircut, the parents don’t have much chemistry, the plot takes forever to get going, and the conclusion is rushed and anticlimactic. Meyers had her hands full trying to produce something great given such a poor starting point. But somehow she found a way to turn everything to the remake’s advantage, eliminating pointless subplots, introducing entirely new and creative ones, and strengthening the core story. Lindsay Lohan was much more capable of carrying a film as a child than Haley Mills was. Also, Dennis Quaid and Natasha Richardson are totally believable as strong-willed people who once had a serious commitment to each other. Their performances are rich and complex, and I always get a kick out of when they first see each other after years of being apart. 1998’s The Parent Trap avoids all the pitfalls of the original and it brings enough new material to make it stand on its own. What!? George Lucas’ crowning achievement is actually a remake? I’m sorry, but it’s true. Watch Akira Kurosawa’s 1958 film The Hidden Fortress and then watch Star Wars and try and tell me that they’re not the same film. Let’s see: two bumbling friends (a fat man and a skinny man) get separated because of a disagreement only to reunite in the middle of a war in Feudal Japan. They run across a princess who is hiding out in a hidden fortress, and she is protected by an old general. The friends help the princess and the general make their way to a group of rebels. The rebels are fighting against an evil empire that employs a general-turned-traitor who used to be friends with the good general. The princess is captured, but before she is put to death, the traitor has a change of heart and helps her and the other characters make it safely into rebel territory. Once there, the princess gives awards to the general and the bumbling friends for their bravery in a grand ceremony. Throw in a youth yearning for adventure and a rogue and his hairy sidekick and there’s almost no difference. Star Wars is simply a dressed-up and more complex version of The Hidden Fortress. It’s on this list because it is clearly superior to its Japanese counterpart. Star Wars has brilliant special effects, amazingly likable characters, a fast-paced storyline, and more creativity and fun than almost any other film of its kind. The Hidden Fortress is plagued with problems, from its reprehensible main duo, to the boring princess, and the contrived plot twist at the end. Thank you, Kurosawa, for inspiring Lucas to create something that will last for generations after your own work is forgotten. Did you know that Cecil B. DeMille made two versions of The Ten Commandments? The first one came out in the Silent Era, and only the first half is about Moses, Pharaoh and the children of Israel. 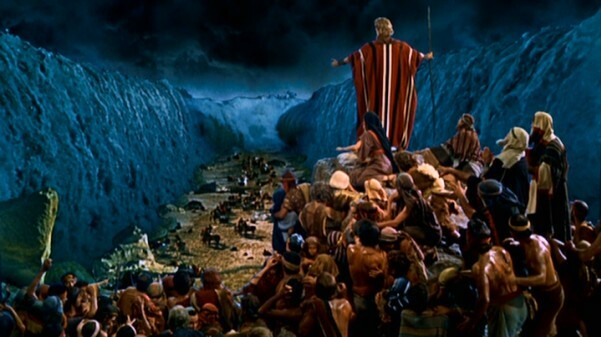 Surprisingly, the Exodus story is used as a prologue to the main events of the film: a morality tale about how the Ten Commandments can be applied to the modern world. The result of this mishmash of completely different films is uneven and surprisingly dull. Luckily, after DeMille spent the next three decades making spectacular epics and wonderful pieces of entertainment, he decided to cap his film career by remaking his signature film The Ten Commandments. This time, he spared no expense in getting the best actors in the business (Charlton Heston, Yul Brynner, Anne Baxter, Vincent Price, John Carradine, etc.) to fill the sandals of larger-than-life Biblical characters. He also invented state-of-the-art special effects that are still impressive to behold. 1956’s The Ten Commandments is a triumph in every way. It is the standard by which I judge pretty much every epic I watch. I’m not a fan of horror films, but these two films are both glaring exceptions. There’s just something special about them. In 1982, John Carpenter was at the top of his game, pumping out many great (if misunderstood) films. The Thing is definitely one of his best movies. I became curious about it after I saw an X-Files episode that directly copied its plot. Basically, a group of researchers in Antarctica encounter an alien that has the power to take over living creatures’ bodies and turn them into hosts for its nefarious purposes. Everything about this movie works beautifully (or hideously, depending on your perspective). The special effects are some of the best I’ve ever seen, the increasing feelings of isolation and paranoia are palpable, and the story is wonderfully set up so that it always leaves me guessing, even after multiple viewings. The ending couldn’t be better because it flows so naturally from all the ambiguity that led up to it. I don’t mean any disrespect to The Thing from Another World when I say that the remake is better. The original film is a classic, and it’s told in a much more linear way. Instead of fighting among themselves, the researchers band together to fight a Frankenstein-type monster. There’s much more good old-fashioned heroism in the original film. It does a superb job of creating suspense and making the audience care about the heroes’ plight. Seeing them triumph in the end is very satisfying. Both of these films are much better than most horror films, but I have to give props to John Carpenter for trying something totally different in his remake and succeeding brilliantly. I know a lot of people will disagree with me on this one, but this is just how I feel. I don’t care if I’m in the minority. Disney’s The Three Musketeers (1993) was one of the earliest films I saw in theaters, and I had so much fun watching it, even if it does have way too much innuendo for a film aimed at a younger audience. Chris O’Donnell’s D’Artagnan is believably brash and courageous. Kiefer Sutherland, Charlie Sheen and Oliver Platt really make the movie for me. They’re each well-developed in their own ways and they embody their characters perfectly. 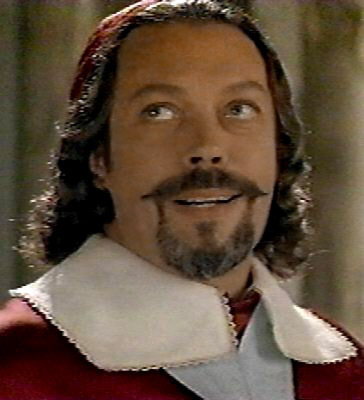 And, of course, it doesn’t hurt that Tim Curry is having a ball playing a reserved and yet over-the-top villain in this film. There’s one scene, in particular, that seals my love for this movie. It’s where Athos, Porthos and Aramis are hopelessly outnumbered by the Cardinal’s men, but then suddenly dozens of Musketeers shed their disguises and come to the rescue. That always gives me chills of excitement. The fact that the Musketeers are willing to sacrifice their lives for something greater than themselves is such an admirable quality, and I can’t help rooting for them. I don’t really get those same feelings of excitement from any earlier (or later) version of The Three Musketeers. But the 1973 version is a particular disappointment. I had heard that this is the quintessential interpretation of Alexandre Dumas’ famous adventure story. But I was extraordinarily bored trying to keep up with the plot and figuring out what the characters were saying under their heavy accents and poor sound quality. Maybe it’s another case of the generational gap at work, but I think the 1993 version does pretty much everything better than the 1973 version. I guess I’m all for one, and not for the other. True Lies is the only film that James Cameron admittedly remade from someone else’s material (although Harlan Ellison would vehemently disagree, as would the makers of Somewhere in Time and Ferngully: The Last Rainforest). Just so we’re straight here, True Lies is a movie that a Canadian wrote based on a script by French filmmakers, and it has an Austrian playing an American spy fighting a group of Middle Eastern terrorists. It seems like all of that cultural confusion would lead to this movie’s downfall, but somehow it doesn’t. How can you not love True Lies? It’s Arnold Schwarzenegger’s last big hurrah before his career started its long descent. And it’s a lot of fun. I’m not a big fan of the whole soap-opera middle section, though I do think it offers a creative take on the usual Schwarzenegger fare. Basically, True Lies is a souped-up version of La Totale. It makes the villains viler, the heroes wilder and the stakes higher. Only James Cameron could take such a silly story and turn it into something truly memorable. From the opening homage of Goldfinger to the climactic Harrier fight scene at the end, everything in this film screams high-quality entertainment. All in a day’s work for Cameron, and that’s no lie. This entry was posted in Random Stuff and tagged action movies, books, classic films, epic, film industry, films, george lucas, history, hollywood, movie remakes, movie review, movies, star wars. Bookmark the permalink. I don’t agree with you about “THE BOURNE IDENTITY”. I feel that both the 1988 and 2002 adaptations are equally good. And there is no way in the world I would agree that the 1993 adaptation of “THE THREE MUSKETEERS” is better than the 1973 version.